IMAGINE your students leaving primary school and starting their first day of high school. CONFIDENT, PREPARED and READY to thrive. YES! I want to know how to prepare our kids for high school. We value your privacy and never share emails. 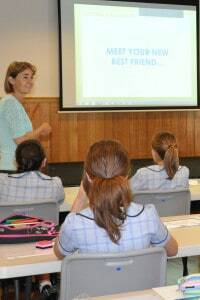 Our workshops take Year 6 students from being worried about high school to feeling confident and prepared. How do we know what students need? 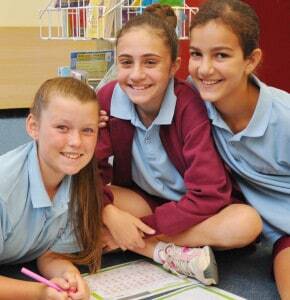 Jenny Atkinson surveyed over 1600 students in Year 6 and Year 7 to find out their thoughts on the move to high school. She listened, researched and studied this topic, inside and out. This in depth knowledge and insight, combined with over 30 years teaching experience, is why Jenny can offer you solutions for the transition to high school. REAL SOLUTIONS FOR THESE REAL LIFE CHALLENGES. 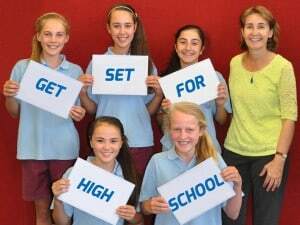 "Get Set For High School is different..."
"The ‘Get Set For High School’ workshop is different because it deals with the anxieties that Year 6 students often experience and provides them with practical strategies to assist with the transition to high school. In its first year at our school we had an overwhelming positive response from teachers, parents and most importantly, the students. We will definitely use the ‘Get Set for High School’ workshop again. Jenny’s knowledge was extensive and the quality of the service provided was very impressive." We offer help for everyone involved in the transition because we understand that children are more likely to succeed when parents, teachers and children are supported and work together. This fun and informative workshop guides students through the steps of our unique Get Set For High School system. Interactive tasks keep them engaged as they develop the skills, understandings and strategies they need for high school. 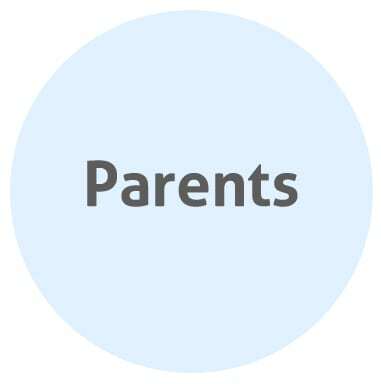 Parents will leave the session armed with practical information and strategies to support their child and themselves through this transition. We cover expectations, social and emotional demands as well as the practical aspects of the move to high school. 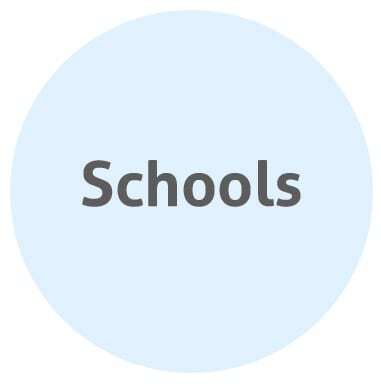 Using current research and worldwide best practices, we help you develop a school plan and transition framework that will work best for YOUR students and school community. NO HYPE. JUST PRACTICAL TOOLS. Our workshops are fun and engaging but we’re not interested in giving children a false sense of confidence that falls apart when they hit a challenge. We provide practical tools, skills and strategies that work to prepare them for life in high school. We know what students need. 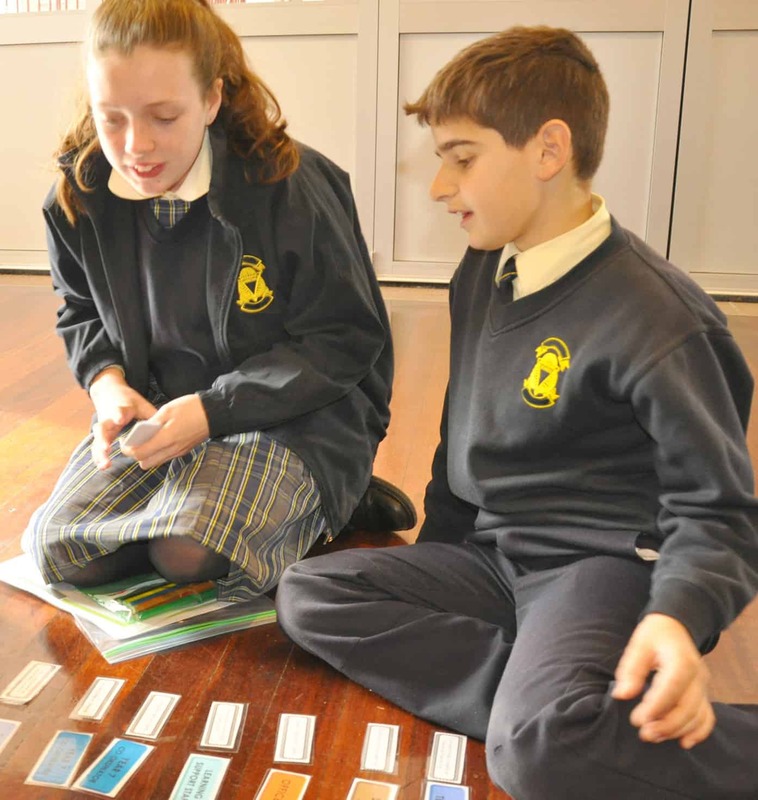 Our workshops are based on our extensive research in Australian schools with over 1600 students, parents and teachers. We provide solutions for the issues involved in transitioning to high school. 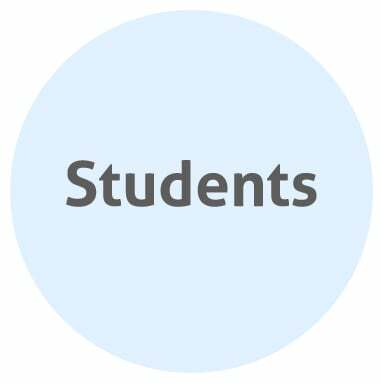 Students recognise the benefits. 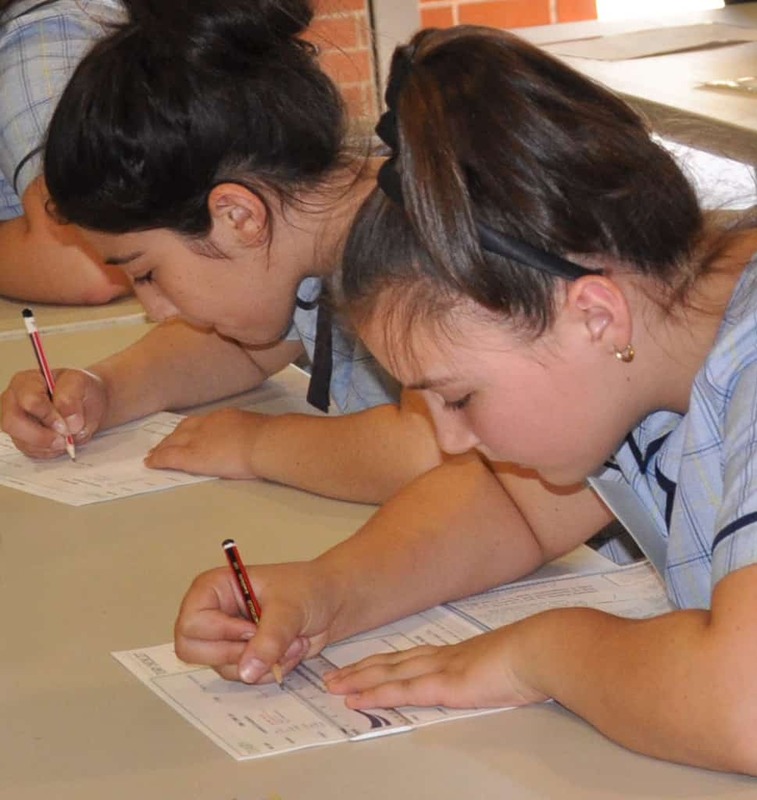 97% of high school students who had completed the workshop in Year 6, said that the program should be offered to ALL YEAR 6 students to prepare them for high school. Our dynamic workshop leaders are all fully accredited, trained teachers who love to actively engage students. We get everyone talking, moving and sharing while they’re learning! We take students through our unique step by step system to give them the skills, strategies and understandings they need for a confident transition to high school. We don't just do a workshop and then walk away. We include UNLIMITED email support for the school staff for the entire school year in which the workshop is purchased. 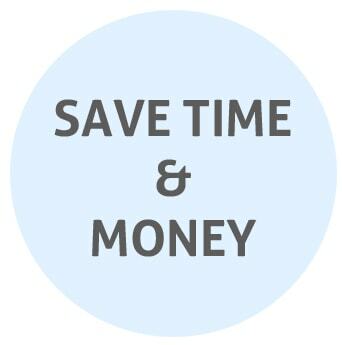 We bring our workshops to you to save you precious time and money. 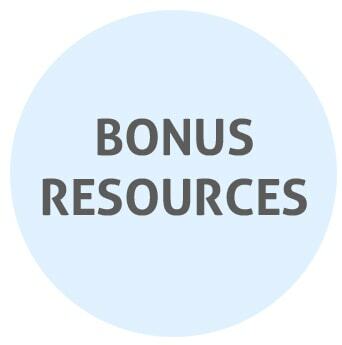 An extensive range of bonus resources are included to support your students, parents and teachers. Our program meets specific curriculum requirements to support the emotional, social and academic wellbeing of your students. Before I did the workshop I felt nervous about the high school work and expectations. I would recommend the workshop because it was fun, interesting and enjoyable but most of all it helped me overcome my nerves. Before I did the workshop I was worried about moving to a whole different school. Now I know that I can do anything if I try. This workshop gives kids confidence. The workshop was really fun. I learnt some great tips so I won't stress out in high school. 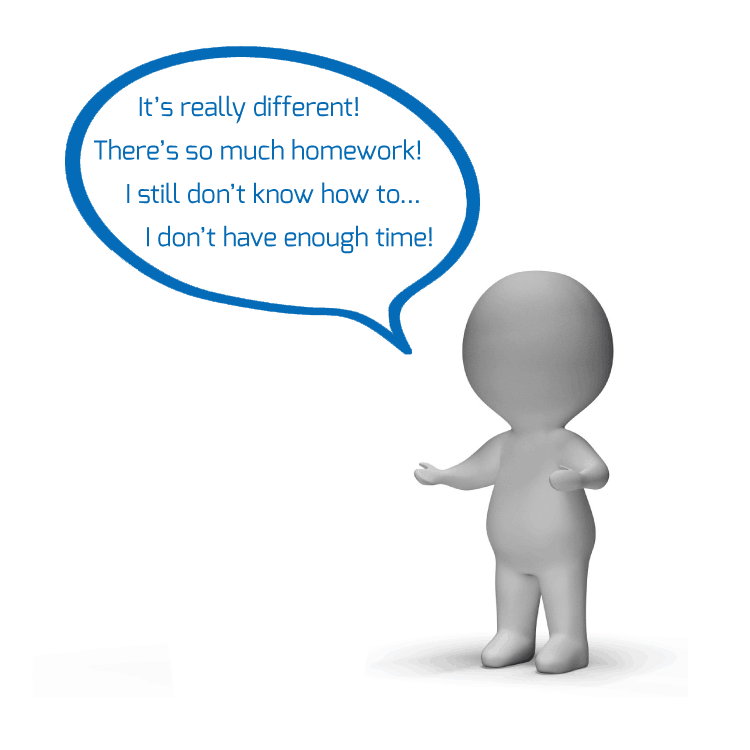 I know how to manage my time and homework, make new friends and be more organised. I really enjoyed it all! This workshop really prepares you for high school and informs you about the important things you should know. Asking for help is the best thing you can do. High school isn’t as scary as I thought it would be. THE RESEARCH BEHIND THE PROGRAM. These children were struggling with their transition and I wanted to know why. OVER 2 YEARS OF RESEARCH WITH 1600+ STUDENTS. Through surveys and interviews, over 1600 Year 6 and Year 7 students, parents, teachers and principals told me about their experiences with high school transition. After 2 years of research I had a deep understanding of transition for the different perspectives... student, parent and school. What do students need to be able to transition well and THRIVE IN HIGH SCHOOL? Are students leaving primary school with the skills and mindset they need to succeed in high school? How can we best equip students to leave primary school more confident and prepared for high school? 1. Be confident and not overwhelmed by their transition. 2. Cope well in challenging situations. 3. Stay engaged and enjoy their learning. 4. Take advantage of opportunities in high school. 5. Realise their full potential, both in school and outside of school. I hope you'll join me to support the well-being and success of these children and their families as they transition into high school. The workshop helps you understand that there might be some challenges in high school but there are people who can help. High school isn't as scary as people say! 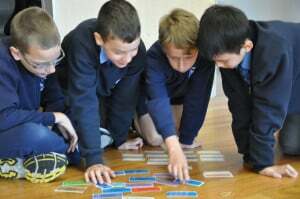 I liked learning how to read a timetable. My favourite part was that I learnt heaps of information. I would recommend this workshop because you learn a lot about what is coming in high school and you feel much better afterwards! Before I did the workshop I didn't really know what to expect in high school but this workshop explains a lot. I'm going to try to enjoy high school in every way I can. Copyright © 2014, Sparks Education Australia. All rights reserved. All materials and media presented on this website are the property of Sparks Education Australia and may not be used without the prior written consent of the operators of the website. Exceptions are noted.